The Citizens Constitutional Forum (CCF) joins citizens of Fiji and Pacific countries in mourning the death of Ratu Joni Madraiwiwi, its former Chair, leader, and iconic peace maker. 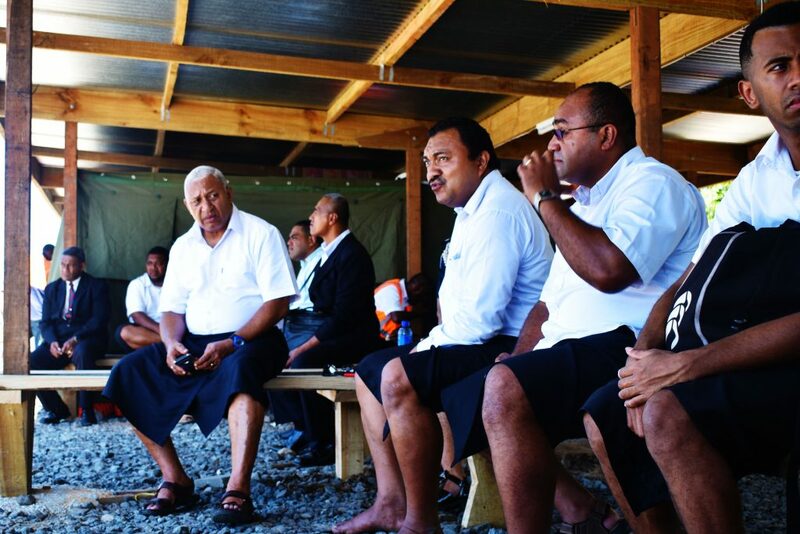 It’s current Chair, Board members and staff express their heartfelt condolences to his wife, Adi Lusiana, and his siblings, families and relatives, and the Vanua of Kubuna. Ratu Joni was the Chair of CCF in the early to mid-1990s when Fiji faced a constitutional crisis in the wake of the 1987 military coups. He provided visionary and empathetic leadership of the organization as CCF sought to promote dialogue on key aspects of constitution making that served the interests of all Fiji citizens among political and civil society leaders. At that time this was not easy as these leaders were quite divided, and some were hurting from their recent experiences. CCF held consultations with these leaders on constitutional matters such as indigenous rights, human rights, land, electoral systems, multiculturalism, power sharing, and the interests of various ethnic groups in the country. International specialists were invited to address and guide the discussions. Critical to the dialogue and consensus building was the tireless role played by Ratu Joni as chair of these meetings. His calm, patient and placatory yet firm approach helped in guiding the participants in often emotionally charged discussions. He was shown respect by our leaders as he was respectful of them. Ratu Joni’s vision, impeccable integrity, humility and his standing as a ‘learned man’ very conversant with Fiji’s history, cultures and customs contributed to moving the dialogue forward. CCF’s submission to the Constitutional Review Commission led by Sir Paul Reeves in September 1995, ‘One Nation Diverse Peoples: Building a Just and Democratic Fiji’ encapsulates the fundamental principles of constitution making for a rainbow nation like Fiji. Elements of CCF’s recommendations were incorporated in the 1997 Constitution of Fiji, and featured largely in the draft Yash Ghai 2012 Constitution, and in a somewhat diluted way in the 2013 Constitution of the Republic of Fiji. Ratu Joni’s vision for a democratic, just, secular, and accountable government for Fiji that respects all citizens’ human rights (women, children, disable persons and sexual minorities’ rights) is his legacy for us to cherish, and strive for as we face the future. CCF is very proud of Ratu Joni’s accomplishments which included being a Fiji Human Rights Commissioner, Judge, Vice President of Fiji, Truth and Reconciliation Commissioner in the Solomon Islands, and Chief Justice of Nauru. The CCF and Human Rights Community were privileged to have the wise and illuminating counsel of this beacon of light and hope. Ratu Joni will be sorely missed. Rest in Peace Ratu Joni Madraiwiwi.